On Sunday March 17th at around 5 PM. 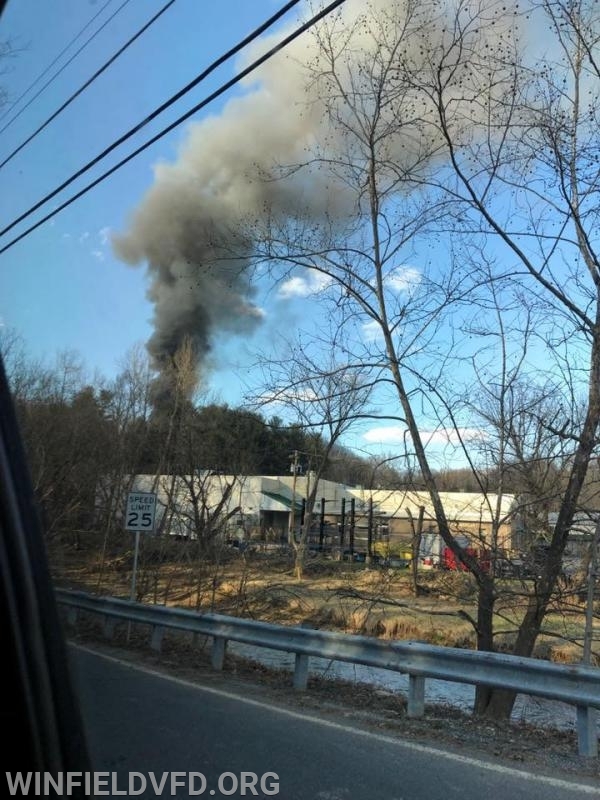 Carroll County 911 Center began receiving calls for heavy smoke in the area of Woodbine Rd and the Howard/Carroll County line. 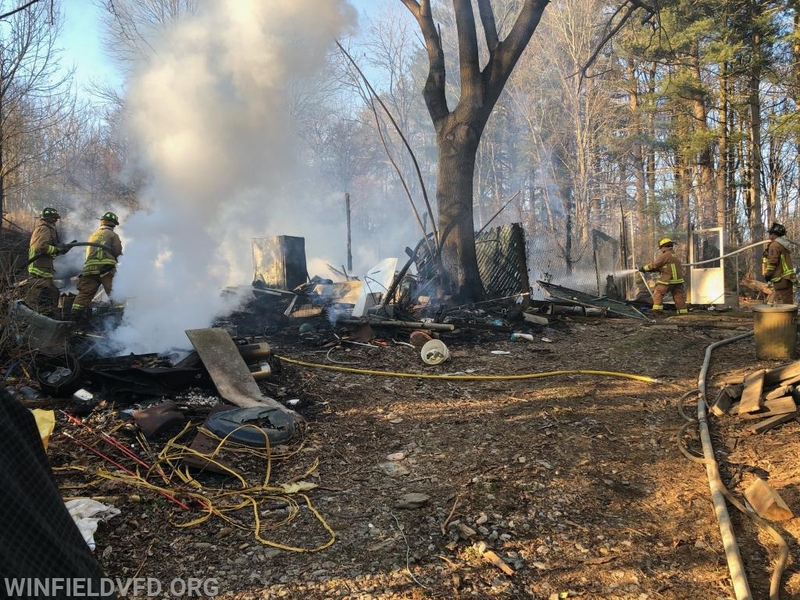 The call was quickly upgraded to a Barn Fire. First Arriving Howard County Engine 41 (Lisbon) found a well involved 60’x30’ pole barn. The location of the barn in a wooded area off of a gravel/dirt road provided a challenge for crews in gaining access to the fire. 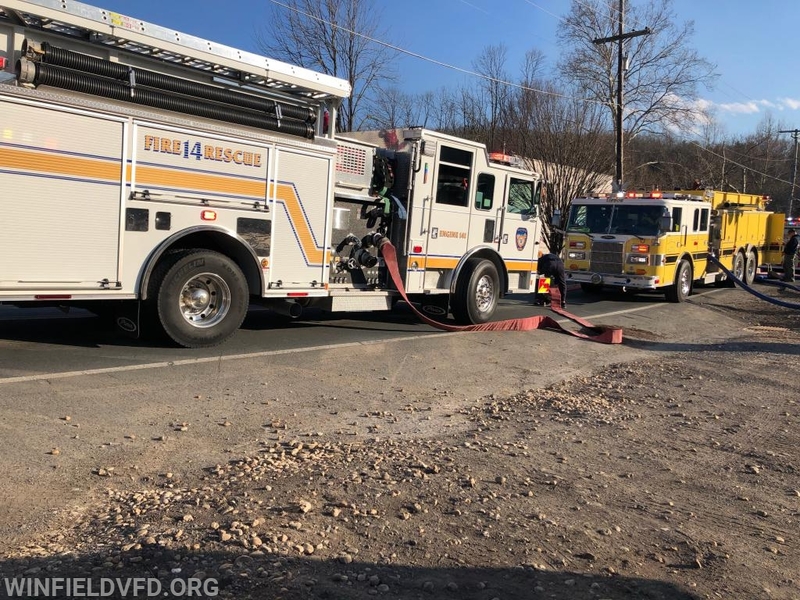 Brush trucks from Lisbon and Winfield were utilized as well as stretching hose lines an extended distance off of Howard Engine 41. 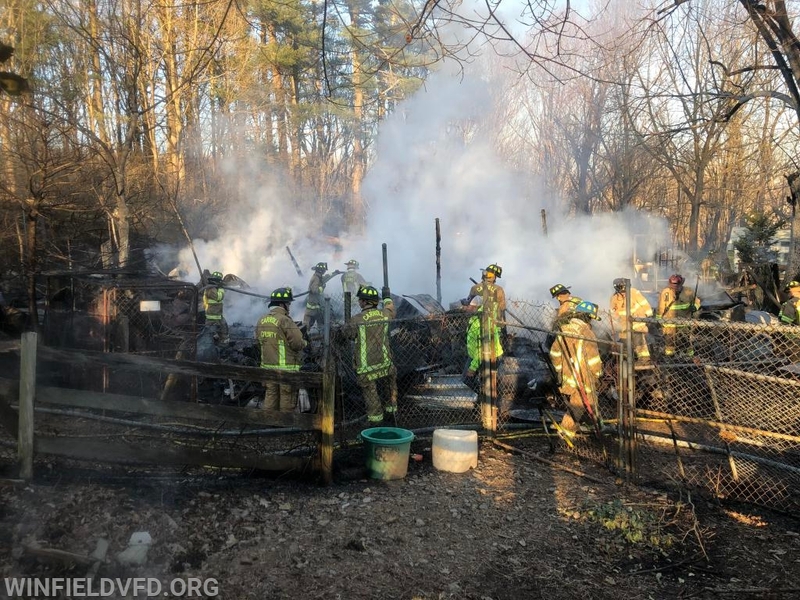 The fire was brought under control however the barn and its contents were a total loss. This fire was caused by a recreational burn that was too close to the structure and spread due to the wind. Let this serve as a reminder to use extreme caution when conducting any type of outside burning.